Almost every customer forms their first impressions of a business based on curb appeal. The way a business cares for its surrounding environment is a direct reflection of their business model. Nowadays, most people don’t even make it to the curb and decide based off of photos when researching online. 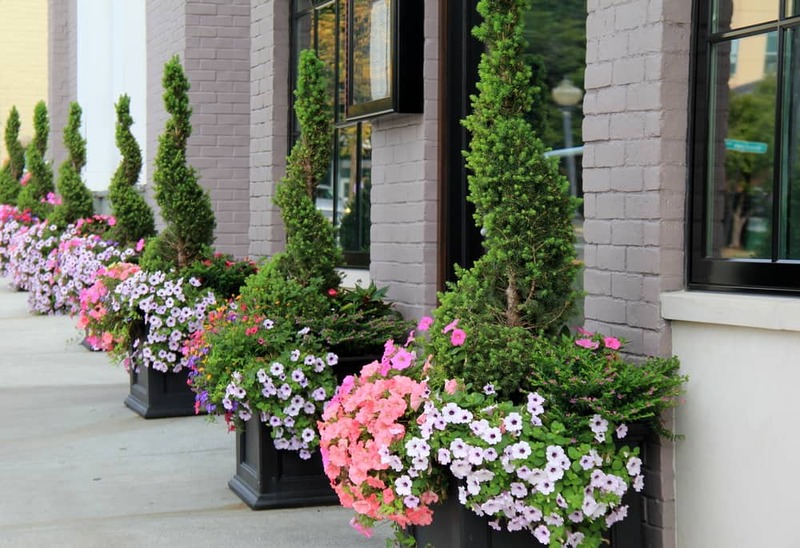 Clearly, curb appeal is very important in gaining new business and maintaining current customers. That’s why storage facilities like Affordable Family Storage in Billings, MO takes extra care to maintain a welcoming environment for potential renters. Here are a few ways you can spruce up your business or home environment and attract more customers. Lighting is an important way of creating a safe and inviting space, especially after the sun has set. A home or business that is missing outer light fixtures like porch, doorway or parking lights gives off a creepy and unwelcome vibe and could deter potential customers or visitors from approaching. Even a single missing light in the wrong place can affect how your business is perceived. Especially for storage facilities, lighting is a safety and security measure to reassure customers that it is safe to enter their unit. Lighting also highlights the building’s best features, like distinguishable doorways or pretty and manicured pathways. It can direct people to the correct entrance or signal whether a business is still in their hours of operation. Color schemes also affect how others view businesses. It’s well known that certain colors evoke emotional responses in people. For example, the color red evokes hunger, which is why you’ll sometimes see restaurant or kitchen walls painted red. Blue elicits trust and is a welcoming color, which is why you’ll see it as an official color of most businesses like Walmart, Facebook, and even storage facilities like Affordable Family Storage. Fresh, updated color is another indicator of business success. If the paint is chipping and badly in need of a touch-up, it could mean that things aren’t going so well for any number of reasons. When searching for a storage facility online or in person, remember that curb appeal really does matter. Check for upkeep on light fixtures and paint color, as well as the overall feel the place gives you. If you wouldn’t feel safe at your storage unit after dark, it’s probably best to find a different one where you do feel safe. At Affordable Family Storage, safety is a top priority at all storage facility locations. We offer gated units with security cameras and bright lighting so you can feel safe at all times of the day. We also understand why curb appeal is important. Check out our many cared for facilities online or stop by in person for more information about unit sizes today!